It’s official: The next version of Windows is dubbed Windows 10, bizarrely enough, and it’s chock-full of tweaks and features designed to make PC enthusiasts smile, including multiple desktop support, a reborn Start menu, new multitasking options, windowed Metro apps, and more robust device management tools for businesses. And that’s just the tip of the iceberg! You can read all the details in PCWorld’s report of the Windows event, and we’ll post some hands-on impressions soon. (Update: Here they are!) But you don’t just have to experience Windows 10 vicariously! Microsoft is pushing out a Windows 10 Technical Preview on preview.windows.com on Wednesday, so IT pros and adventurous souls—Microsoft stresses the current Windows 10 build is very early—will be able to get their hands on the next-gen operating system long before its expected mid-2015 release. 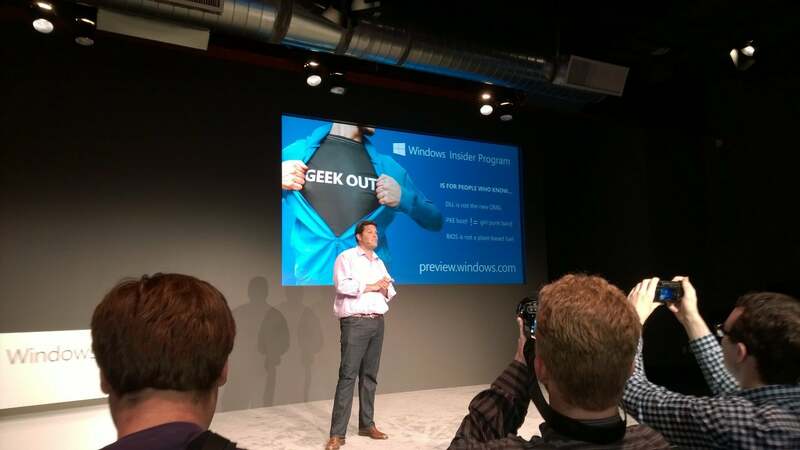 Microsoft OS boss Terry Myerson revealing the Windows Insider program. The Technical Preview will be released through a new program dubbed Windows Insider, which was built to let “more vocal Windows fans” help refine the Windows 10 experience. 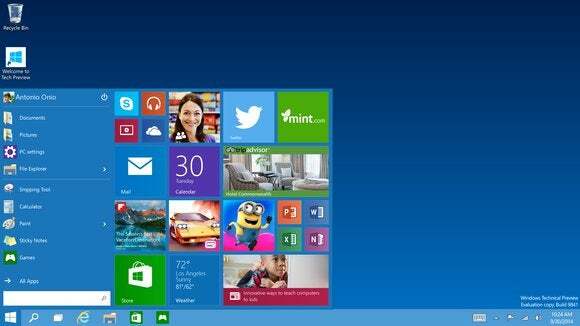 “Windows 10 will be our most open, collaborative OS project ever,” Microsoft OS chief Terry Myerson said at the event. Testers will be able to leave feedback and engage in private discussions with Windows engineers via the Insider program. Look for the Tech Preview to go live at some point tomorrow; PCWorld will have a guide on how to install it on your machine shortly thereafter. Here’s hoping the Windows 10 Technical Preview continues with the “business and power user” theme and comes delivered in proper ISO format, rather than via Windows 8.1’s Windows Store method. That… wasn’t pleasant.